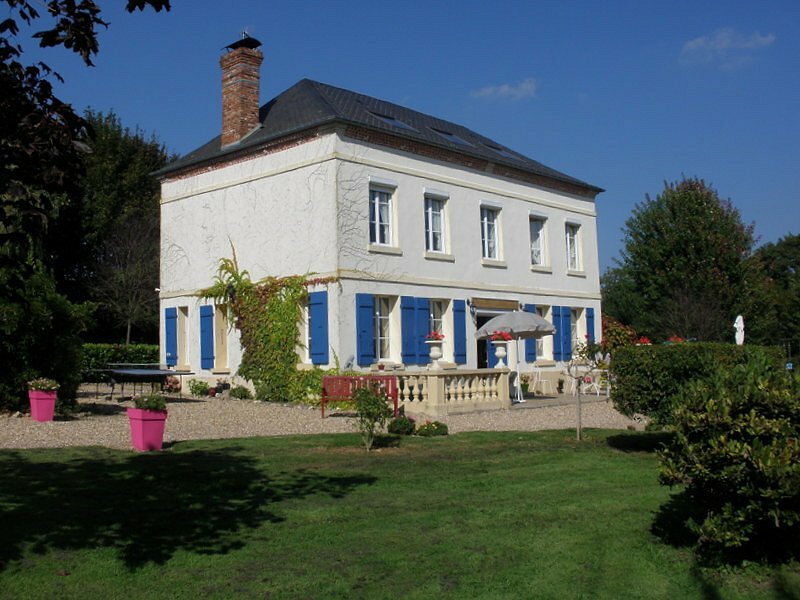 Located in the most beautiful undulating part of the Pays d'Auge, 12 minutes from DEAUVILLE - TROUVILLE, 13 minutes from CABOURG and LISIEUX, 4 km from the exit A13 of VILLERS SUR MER, and near PONT l'EVÊQUE, House of character of 1830, family and warm, in the middle of a park of pleasure sported by one hectare, a charming bed and breakfast for two people with private shower room and WC awaits you for your enjoyment. Another room for two people, on the same private floor, benefiting of the same common facilities, is at your disposal EXCLUSIVELY for your friends or members of your family. The continental french breakfast , included, will be served in the dining room or on the terrace. Evening donner on order from September to the end of July (excluding Easter, national holiday, Christmas), regional meals, all included appetizer with cheese and dessert. Associated wines (White, rosé, red), and coffee included. Chantal and Jean-Marc await your coming with pleasure.